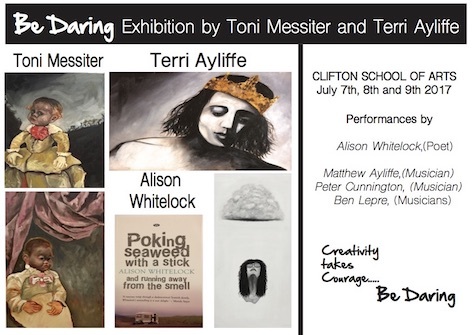 An exhibition of works by two local artists, Wombarra’s Terri Ayliffe and Toni Messiter, will be held at Clifton School of Arts on July 7, 8 and 9. The show includes live performances by poet Alison Whitelock, and musicians Matthew Ayliffe, Peter Cunnington and Ben Lepre. Terri is the brains behind local beauty brand ‘Coal Coast Essentials’ and former owner of Vertu in Stanwell Park.